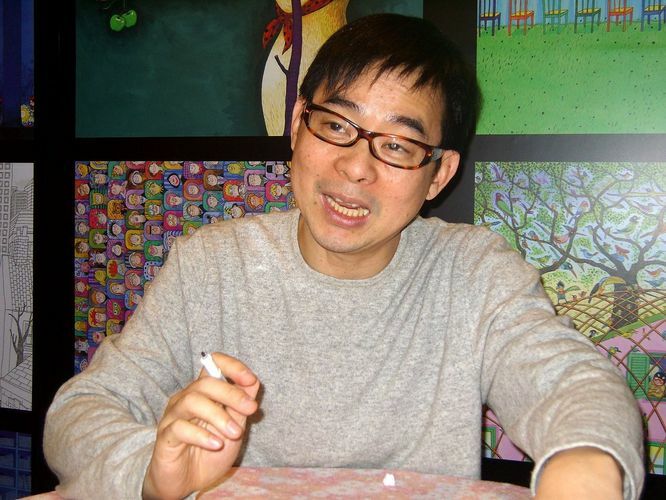 Jimmy Liao ( born November 15, 1958) is a well-known Taiwanese illustrator as well as a picture book writer. The name Jimmy is his English first name which brought about his (phonetic) Chinese pen name. After graduating from Chinese Culture University in which he majored in art, Jimmy worked in an advertising company for twelve years, and then he worked as an illustrator for newspapers and magazines. In 1998 his picture books Secrets In The Forest and A Fish With A Smile were published in Taiwan. These two books earned him several book awards and were regarded as “The Best Children’s Books” in several Taiwanese newspapers, such as The China Times, Min Sheng Bao, and United Daily News. His picture book A Chance of Sunshine, which was published in 1999, was voted “One of the Ten Most Influential Books” by the Taiwanese bookstore chain, Kingstones.